Buddha Bar Right, big bar or shop counter, two part (a single part can be used alone), with one covered swing door on the right side, reclaimed boat timber. 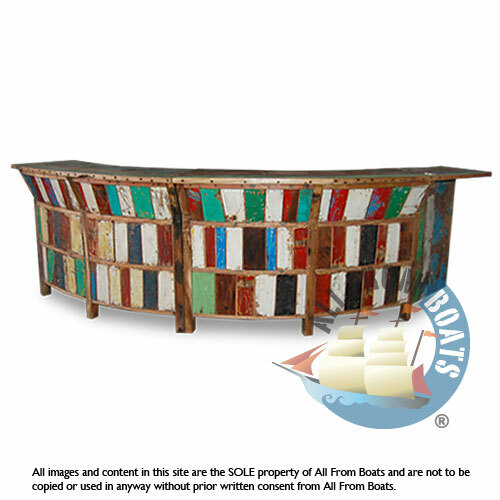 nautical, recycled, reclaimed, boatwood, boat furniture, shellac finishing. the price includes one swing door. without swing door the price will be 591,000 idr lower.